Since 1976 our business has safely stored, managed, and securely destroyed sensitive documents, records and information including files stored on computers. We have a large following of dedicated customers. We have earned their trust. 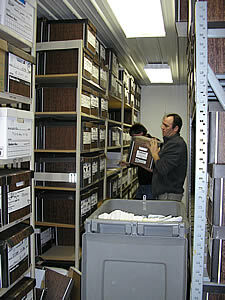 Let us also handle your document storage and destruction needs. We are fully bonded and insured. We are Chamber of Commerce members, NAID (National Association of Information Destruction) members, and active members of your local Indiana community. E-mail us for a free quote. Remember, not only does the law say that you must safely destroy your documents, the law say that you must research to make sure that you are using a reputable and trustworthy document destruction company. We researched mobile shredding trucks for years until finally we found a truck that met our high quality standards. Last year we purchased what we feel like is the best truck available. An external viewing monitor is available for you to witness the destruction of your documents. Our shredder is incredibly powerful and is run off of the truck’s main diesel motor. In fact, there is no need to even remove staples, paperclips, etc. from your documents. Our truck has a huge payload capability. We can handle your destruction needs quickly and easily...and in one trip. The speed and efficiency of our shredding truck makes our service less expensive than the competition. Our truck is equipped with a GPS navigation system, so getting to your location is never a problem. Document Shredding - Your documents are securely destroyed on-site using a 'no touch' process. We will not separate your documents before shredding, like some companies do. 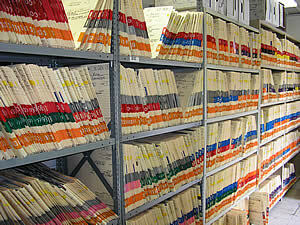 Document Storage - We will pick up and securely store your documents at our facilities. We will return them to you at your request. Many of our customers have saved up to 50% on their on-site shredding costs. By using our service your staff will have more time to focus on more important tasks. No more wasted time in front of slow, finicky, office sized paper shredders. Discarded shreds only tell the bad guys what to take. Shredded materials from an office shredder are relatively easy to put back together. There is even a service available that electronically scans shreds for the purpose of reconstructing documents. However, in our shredding trucks your materials are mixed with papers from dozens of other businesses, so it is virtually impossible to reconstruct any single document. 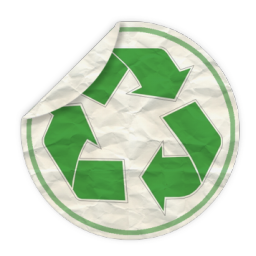 Plus, since we recycle the shredded materials, our process does not create a situation where shredded materials are retrievable by unauthorized personnel. Employees don't faithfully use shredders. Employees in most small and medium sized businesses are already overwhelmed with work, so they find it hard to find time to shred all the materials they should. They may place materials near the shredder, but often somebody just throws them away to avoid the hassle and mess. Shredding and Storage Unlimited simplifies the process for your employees by providing secure containers for storage of the materials to be shredded. Shredding yourself provides no record of compliance. In the event of a privacy violation, complaint or audit, it is very likely that you will be asked to verify your compliance to information protection regulations. Using our service gives you a verified, ongoing record of regular compliance with legally mandated information destruction requirements. Employees should not handle some sensitive information. If you shred yourself, then it is left to either entry-level employees, who probably shouldn't see the materials that need shredding, or to management-level employees, who are highly paid for more important work. Outsourcing to Shredding and Storage Unlimitedsolves this problem. Information destruction happens very quickly with little, if any, handling by our screened personnel. 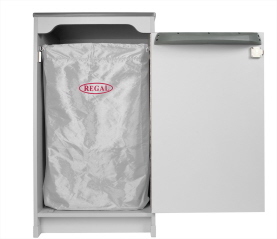 No repairs or maintenance costs to worry about, or plastic bags to buy. Office shredders break down - even more so if you truly use them to shred everything you should. When this happens, the materials to shred pile up until the shredder is fixed or replaced. This burden can become great enough that employees will cut corners and dispose of the materials unshredded in order to catch up. If you use Shredding and Storage Unlimited then you don't have to worry about equipment breakdowns. Your solution to information destruction compliance is secure, quick and convenient. Office shredders can't handle large record purges. Whether you are cleaning old records out of a storage facility, or someone just cleaned out their office, chances are that a small office shredder won't be able to handle the large volume. The risk is that someone will simply decide not to shred the materials to avoid the hassle.Shredding and Storage Unlimited's industrial shredders can destroy hundreds of pounds of material per minute. Even a major purge of records doesn't give our equipment the slightest problem. 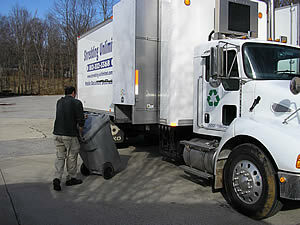 Our mobile shredding trucks are capable of shredding up to 6,000 lb. per hour - that's the equivalent of 335 full file boxes. Office shredders can't handle some materials. The papers that need to be shredded are often held together by binders, paper clips, staples and covers. These items normally need to be removed as the office shredders will not handle them. Office shredders also can't handle the tapes, CDs, and other media that also hold sensitive material needing to be destroyed. However, our large industrial shredders can handle anything you throw at them. Old computers also need secure disposal. Before you recycle, discard, donate, or sell that old computer, you MUST make sure it has NO personal or competitive information left on it. Countless news stories around the world have reported on organizations getting in significant legal trouble because confidential information was found on discarded computers. Shredding and Storage Unlimited is composed of information destruction professionals, so we can help you clean out those old computers.